Daniel Richmond’s New Book “Island Of Fire” Is a Riveting Work About One’s Return to an Island to Save It from the Dragons That Want to Destroy It. 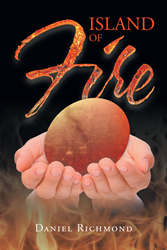 Recent release “Island Of Fire” from Page Publishing author Daniel Richmond is a thrilling book on Del, the one who has fought the dragons before and has been taken to live with God for thousands of years, and his return to the island to fight the dragons that has returned to destroy it. Daniel Richmond, a history buff who has studied ancient Greece, Rome and China history, has completed his new book “Island Of Fire”: an absorbing story on Del of the half kin’s journey of returning to an island to save it from the destruction that the dragons would cause upon its comeback. Published by New York City-based Page Publishing, Daniel Richmond’s engaging and well-written work also revolves around the need of getting God’s attention and wisdom in order to discern well when challenges come—Del has the options on how to stop the dragons before it is too late. Readers who wish to experience this appealing work can purchase“Island Of Fire” at bookstores everywhere, or online at the Apple iTunes store, Amazon, Google Play, Kobo or Barnes and Noble.